The Federation of Piling Specialists (FPS) is pleased to lend its support to the launch of a new publication – Premier Engineering. 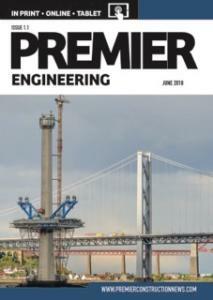 Premier Engineering will focus on the latest developments in the engineering industry, with each issue highlighting projects currently taking shape throughout the UK and overseas. It will cover everything from roads and structures, water and wastewater, rail and transport, aggregates, quarries and mines, rivers and coastal, power, utilities and communications, environmental/renewables, plant & equipment, legislation training to health and safety industries. The magazine is aimed at the Civil Engineering / Infrastructure industries, and those supplying and working within. It will be added to the many publications the FPS uses to help disseminate information, articles, features, news and opinion as appropriate.